ALBANY, Ga.--(BUSINESS WIRE)--The Procter & Gamble Company (NYSE:PG) and Constellation, a subsidiary of Exelon Corporation (NYSE: EXC), gathered with city, county and state officials today to celebrate the development of an up to 50-megawatt biomass plant that will help run one of P&G’s largest U.S. manufacturing facilities. Scheduled to begin commercial operation in June 2017, the plant will provide 100 percent of the steam, and up to 60-70 percent of the total energy used to manufacture Bounty paper towels and Charmin toilet tissue at P&G’s Albany, Ga., facility. Constellation will build, own and operate the $200 million cogeneration plant, which in addition to supplying steam to the P&G facility, will generate electricity for the local utility, Georgia Power. Representatives from P&G, Constellation and Georgia Power thanked the community for its support of the project, which they described as a win for the community, shoppers who choose Bounty and Charmin products, and each of the partners. Albany Mayor Dorothy Hubbard, and members of the Albany-Dougherty Economic Development Commission commended P&G - a local business for more than 40-years – and Constellation for providing renewable energy and jobs to the community. Construction activities are expected to create up to 500 new jobs over the next two years, with an additional 50 to 70 permanent local jobs for ongoing operations once the plant is built. The biomass plant will significantly increase P&G’s use of renewable energy, helping get the company nearly halfway to its 2020 goal of obtaining 30 percent of its total energy from renewable sources. Currently, eight percent of P&G energy comes from renewable sources around the world powered by wind, solar and geothermal. Constellation is currently under contract to sell 42 MW of capacity and energy from the 50 MW facility to Georgia Power, which purchases the energy at or below Georgia Power’s avoided cost. The project also included collaboration with the Albany-Dougherty Payroll Development Authority and ongoing support from the Georgia Public Service Commission. DCO Energy will hold a minority stake in the project and provide engineering, procurement and construction services for the project. Constellation’s affiliate, Exelon Generation, will operate and maintain the plant. Sterling Energy Assets worked with Constellation to develop the project. Tours of the facility showcased the existing 30-year old P&G boiler, which provides 30 percent of the total energy at the plant and saves on average $3 million a year compared to natural gas costs. The new plant will more than double the current total energy output and will be fueled from biomass that would otherwise have been left to decay, burned, or potentially sent to landfill. P&G worked with the World Wildlife Fund (WWF) to create sustainable fuel supply “procurement standards,” which complement P&G’s responsible wood fiber procurement policy for its tissue, towel and absorbent hygiene business, as well as Constellation’s commitment to energy options for customers that benefit the environment. P&G serves nearly five billion people around the world with its brands. The Company has one of the strongest portfolios of trusted, quality, leadership brands, including Always®, Ambi Pur®, Ariel®, Bounty®, Charmin®, Crest®, Dawn®, Downy®, Fairy®, Febreze®, Gain®, Gillette®, Head & Shoulders®, Lenor®, Olay®, Oral-B®, Pampers®, Pantene®, SK-II®, Tide®, Vicks®, Wella® and Whisper®. The P&G community includes operations in approximately 70 countries worldwide. 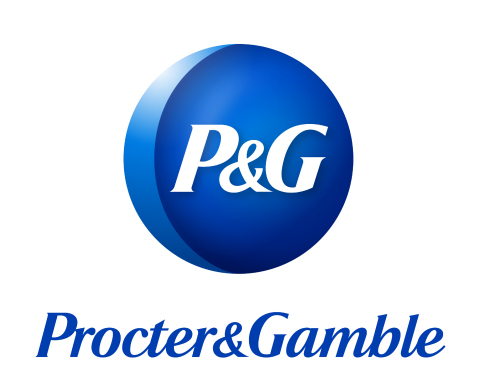 Please visit http://www.pg.com for the latest news and in-depth information about P&G and its brands. Learn more about P&G’s sustainability goals at: http://www.pg.com/sustainability. Constellation is a leading competitive retail supplier of power, natural gas and energy products and services for homes and businesses across the continental United States. Constellation's family of retail businesses serves more than 2.5 million residential, public sector and business customers, including more than two-thirds of the Fortune 100. Baltimore-based Constellation is a subsidiary of Exelon Corporation (NYSE: EXC), the nation’s leading competitive energy provider, with 2014 revenues of approximately $27.4 billion, and more than 32,500 megawatts of owned capacity comprising one of the nation’s cleanest and lowest-cost power generation fleets. Learn more at www.constellation.com or on Twitter at @ConstellationEG.